The excitement level for May 27's opening of Pandora – The World of Avatar at Walt Disney World Resort is through the roof following Wednesday’s dedication ceremonies. Located in Disney's Animal Kingdom, Pandora will transport guests into a world 4.4 light years from Earth where they will witness sights and sounds from the popular movie Avatar by filmmaker James Cameron. 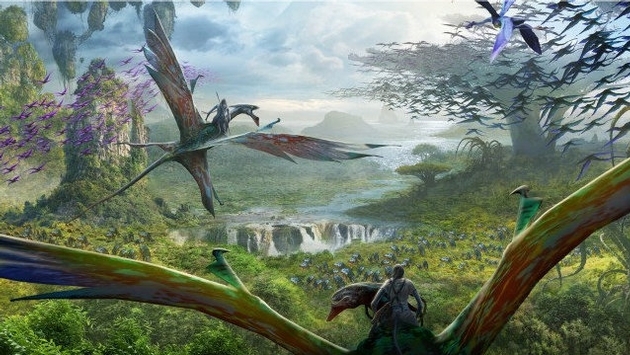 The portion of the theme park dedicated to Pandora measures 12 acres and will be set in a time frame a generation after the human-Na'vi conflict during the Oscar-winning film. Disney Imagineers recreated many of the settings from the movie and progressed the storyline to make guests feel like they are really stepping foot into Pandora. “Working with [James Cameron] and his team was a dream come true for us, as we pushed the limits of creativity and innovation to bring the digital world of Pandora to the real world of Disney's Animal Kingdom,” Walt Disney Company CEO Bob Iger said in a statement. Visitors entering the Pandora land will cross a rusty bridge and walk a winding forest pathway before entering the massive and impressive section of the theme park. 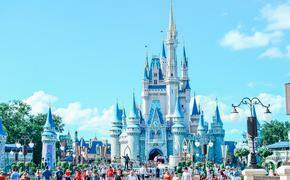 During the day, guests will see floating mountains, waterfalls and a rainforest. At night, the area will be lit by the bioluminescent flora and a special series of nighttime programming. Two attractions garnering the most attention are the Avatar Flight of Passage and the Na'vi River Journey. The Avatar Flight of Passage is a multi-sensory experience that transports guests through the world of Pandora on the back of a winged banshee. As for the Na'vi River Journey ride, passengers travel in reed boats down a sacred river, deep into the bioluminescent rainforest under a canopy of glowing plants that also features Pandoran creatures on the move. For fans of the Avatar movie or just theme parks in general, Pandora – The World of Avatar is one of the most highly anticipated debuts of 2017.